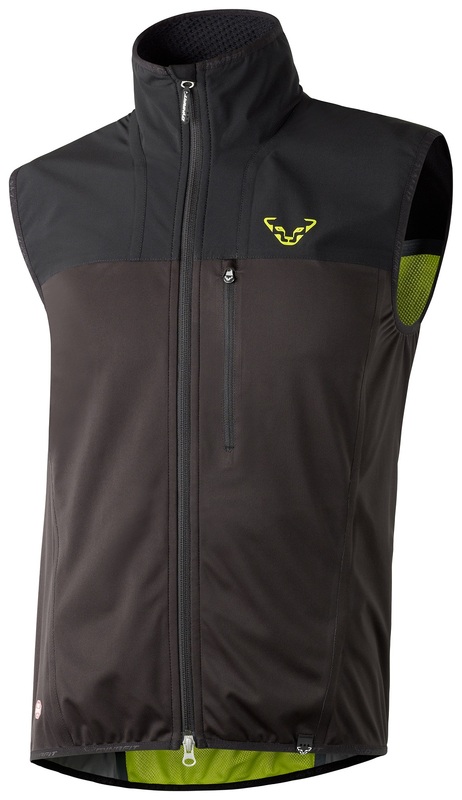 The Racing Windstopper Vest is the sleeveless version of Dynafit's Racing Windstopper Jacket. Rather than buying the sleeved version and cutting the arms off to shave 108 grams, you can save yourself $50 with this vest and avoid filling up landfills with unused jacket limbs. The vest has the same Gore Windstopper™ front panel and amazing back ventilation with the mesh inserts, it's just missing the arms. The vest will keep you core protected from wind while allowing your arms to move freely. Mesh inserts on the back make the vest extremely breathable under your pack where you need it most. Wind-resistant front panel keeps the chill off your core on descents or windy ridges. Elastic hem keeps the vest in place and prevents drafts from entering below. Easy access to essentials with two mesh inner pockets (think skins) and one outer chest zip pocket.